Casa Austria is a beautifully designed little apartment complex, consisting of four units. Three of them are rented out to holiday guests and the owner herself lives in one of them. 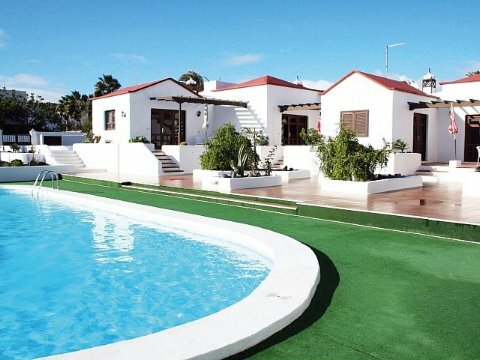 The complex is located only approximately 100 meters from the ocean and it also has a large swimming pool of its own, covering 17 x 5 meters, and a large sun terrace. Each apartment has a bedroom with a large double bed (1.80 meters wide), which means that it can be occupied by up to two persons. The cozy living room has direct access to the pool terrace and is equipped with digital satellite TV, a DVD player and a radio/CD/cassette player. The kitchen is openly integrated into the living room and is fully equipped with a ceramic stove top, coffee machine, toaster and microwave. All terraces of course have a table and chairs, as well as deck chairs and parasols. Each apartment has a floor area of approximately 55 sq.m. There is a supermarket and restaurants in the immediate vicinity, about 5 minutes by foot from the apartment complex. You can get to the tidal pool at the ocean within 2 minutes by foot. Bedlinen and towels are available and will be changed every week (towels twice a week). We can arrange for you the transfer to and from the airport or as well organize the car rental for you. Rent per night 65 eur, final cleaning 65 eur.